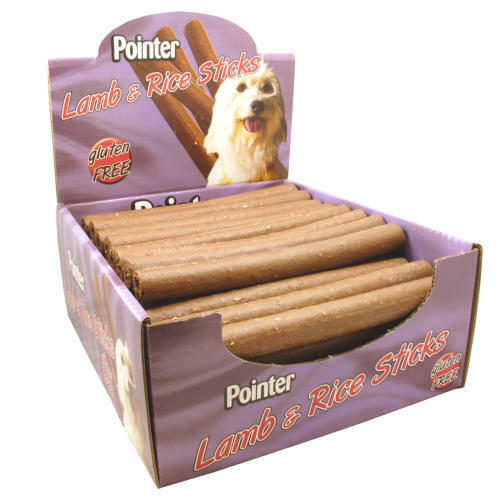 A complimentary pet food for dogs, Pointer Lamb & Rice Sticks are produced from only the best ingredients, considerable care is taken to ensure that your dog will enjoy this delicious treat.The Lamb & Rice Sticks are ideally fed as a treat, or reward during training. Fresh drinking water should always be available. Cereals (min 4% rice), vegetable protein extracts, meat and animal derivatives (min 4% lamb), vegetable by products, sugar, oils, fatsand minerals.